Whether you are looking to add a four legged companion to your family, you want an active dog that helps you shed those extra pounds or a K9 with a job, the first step is always planning ahead to avoid as many surprises as possible. Here are a couple of steps that will help you to start out as a responsible dog owner. – Do I prefer short or long hair? Long haired fur does not necessarily mean more shedding. Some short haired dogs, like the Shar Pei, have hair which will stick to everything. Shedding sometimes is a sign of bad nutrition, but there are definitely breeds who tend to shed more than others. Dogs like poodles do not shed at all – and there are dogs who do not have fur at all, like the hairless Chinese Crested or the Xoloitzcuintli, the Mexican Hairless. A non-shedding dog does not necessarily mean, that a person who is allergic to dogs, will not react. Most people are allergic to a dog’s saliva, not the fur. – How big of a dog do I want and am I prepared for the size? Having a small apartment does not necessarily mean that you can only consider a chihuahua sized dog. Giant dogs like Great Danes may take up a lot of space, but they are generally also less active. If you provide enough exercise for them outside of the apartment, some bigger sized dogs are fantastic in a smaller indoor space. However, typically, bigger sized dogs tend to live a shorter life than smaller dogs. For example Great Danes or Bernese Mountain Dogs only have an average life span of about eight years. Additionally, medical attention may be more expensive as they require a bigger amount of medication. Last but not least: they most definitely take up more space on your bed! – Am I looking for a dog who is active and will require exercise and training? Having an active dog can be both extremely fun and a curse at the same time. There are breeds who are not for the everyday pet owner. 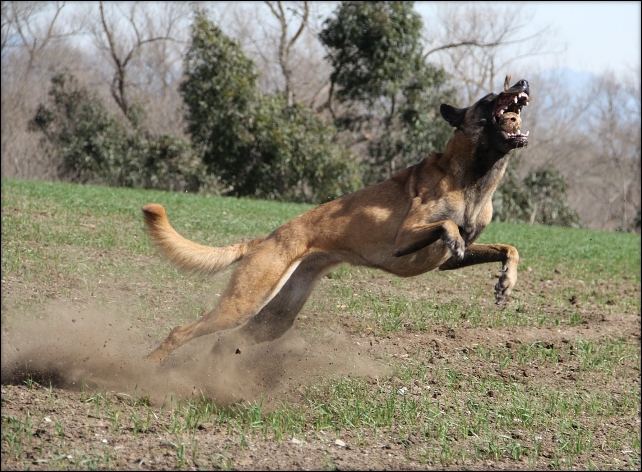 Working dogs like the Malinois or the Australian Shepherd need a lot of attention, training and exercise, physically and mentally. If you are looking for a dog who runs with you or accompanies you while you are riding your bike, there are many active breeds who are also great pets like Dalmatians or Labradors. Maybe you are already set on a specific dog sport and are looking for a competing K9 partner. Depending on how serious you are about this sport, you might want to consider breeds who are already active in this particular sport. Some breeds are allrounders and fit many different sports or life styles like the German Shepherd or the Labrador. – Is the dog mostly going to stay outside or in the house? If a dog gets enough exercise and human interaction, there is nothing wrong with having a dog in the backyard, provided the climate allows it. Always make sure, your dog has shade, water (not frozen) and protection from harsh environment, like an isolated dog house. Some dogs prefer the outside to the inside. This is a good point to decide beforehand as it is more difficult to train a dog who was allowed to stay in the house, to stay outside. If you leave your dog outside, whether over night or just for short times during the day, make sure that your fences are high enough. 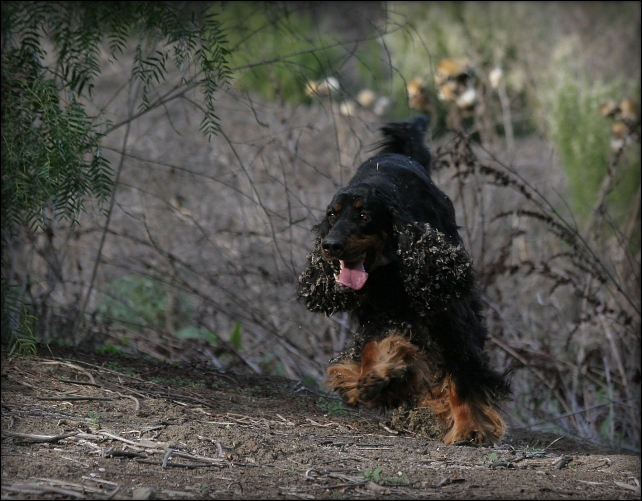 Many dogs can jump way over 6 feet and if they are not exercised properly, they will. Some dogs are more likely to jump fences than others. Unfortunately, in today’s times, another thing to consider is how easy it is for neighbors or strangers to reach your dogs. Usually a kennel or a double fenced backyard is much safer. – How much time can I comfortably spend with the dog every day? Dogs should not be left alone for more than 8 hours at a time regularly. They are pack animals, bred to be human companions for thousands of years and need the human interaction. If you think, you will be out of the house longer, find out if your work place allows you to bring your new four legged friend or get a dog walker once a day. – What kinds of traits am I looking for in a dog? We have bred hundreds of different types of breeds for a reason: for their size, fur and looks but most importantly for their temperament and traits which make them suitable for their jobs. This is why we now have breeds with all these different quirks. 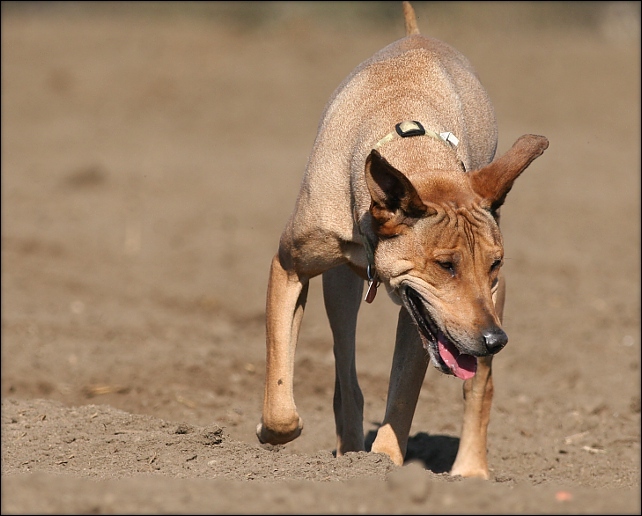 Some dogs are more apt to jump, some bark more than others (fun tidbit: The Basenji, a hunting dog from central Africa, does not bark at all) and some will retrieve a tennis ball until they drop. When thinking about a dog’s temperament, it is also recommendable to think about your family’s future. Are you traveling a lot? Do you have children or are you expecting children in the near future? Are you thinking about moving soon? – Is the climate I live in suitable for the dog I look at? Having a dog who is native to colder regions may not be a good choice for the Southern California heat. On the other hand, a Mexican Hairless is probably not doing too well in Alaska. Learning about your favorite breed’s history can give you hints of whether or not this dog might be a good fit for where you live. There are many ways to learn about different breeds. Numerous books have been written on specific or containing references to several breeds, there are TV documentaries and websites. Nothing, however, beats talking to an owner of a dog of your favorite breed, a breeder, or visiting a dog event like a dog show or a sport event where your favorite breed competes. Owners and breeders can give you first hand account on what they like about these dogs and their needs. And they can help you finding your new friend. If you are thinking about a mix, mutt or heinz76, it is still important to do your homework and find the right breed for you. While there is no guarantee, that the mix containing your favorite breed will also show the traits you like about that breed, it may give you an idea of what’s ahead of you. My next blog post will talk about getting a dog from a shelter or from a breeder and questions you should ask every rescue organization or breeder before you get your new friend. Loved the picture of the German Shepard in the water:) Great information for those ready to add a new member to their family. I do wish people would do a little more research about the breeds they like and see if that particular breed has the qualities they are looking for. Getting a puppy just because he/she is cute is an accident waiting to happen. Unfortunately, too many people still buy a dog based on looks or a movie, even though there is plenty of information around.